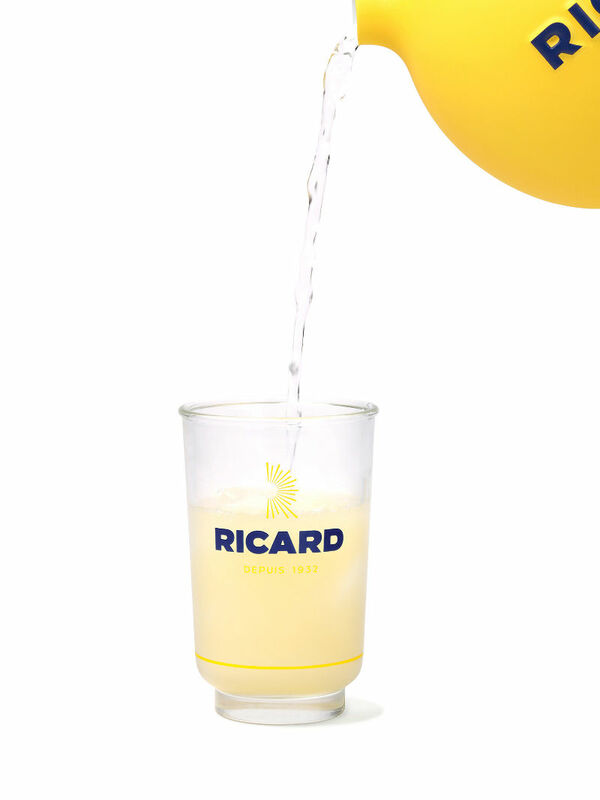 The new jug encapsulates the essence of the original pitcher by Paul Ricard with a very simple design that radiates good spirits. 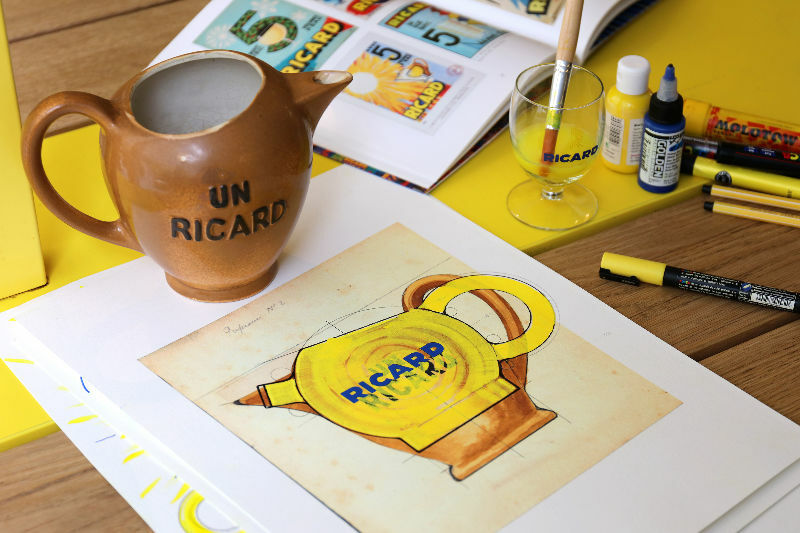 “On the day Ricard asked us to design the brand’s new jug, we immediately felt a real sense of involvement in a form of mission, it was like a designer’s dream as this item is legendary”. 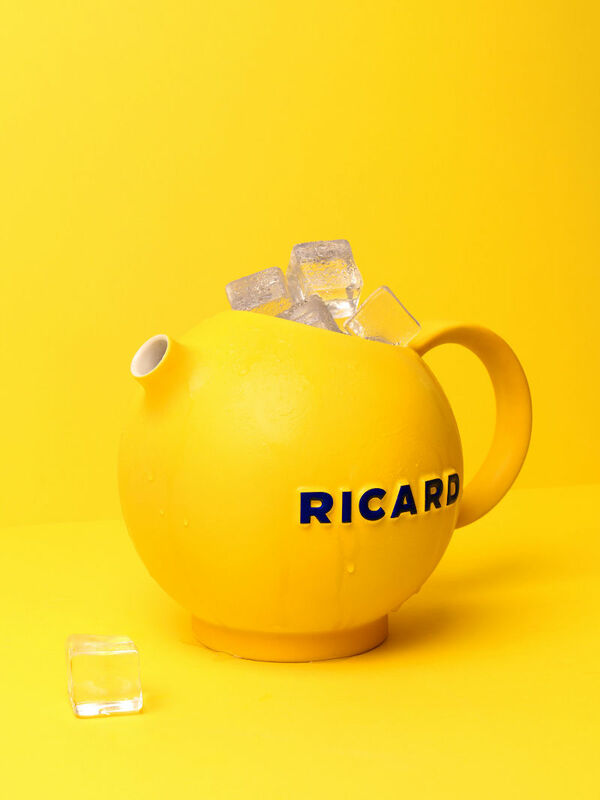 The Ricard pitcher is part of our French national heritage, a popular icon that has touched generations and continues to embody a certain French lifestyle. 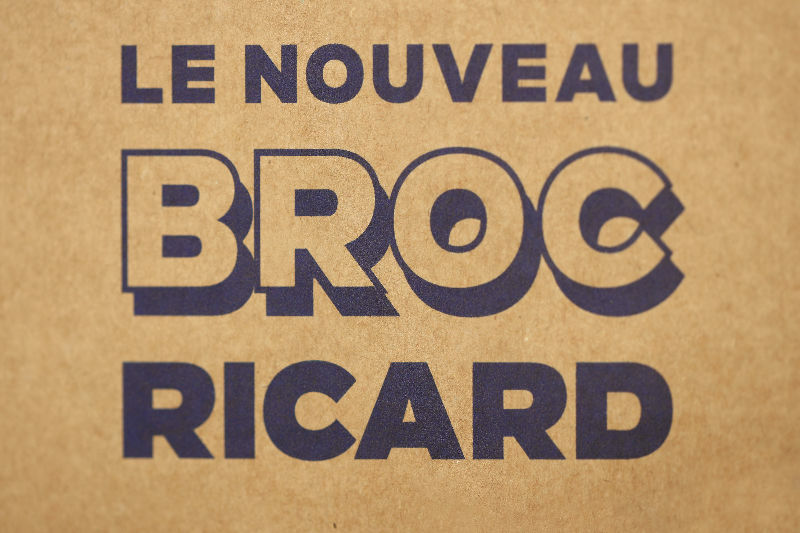 Our first vision was to ensure this new pitcher was in keeping with the brand’s heritage. 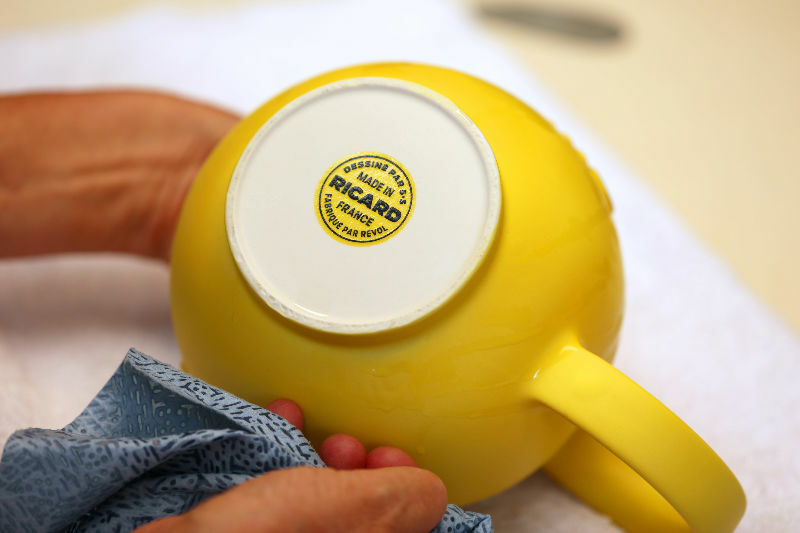 It had to be ceramic and made in France. 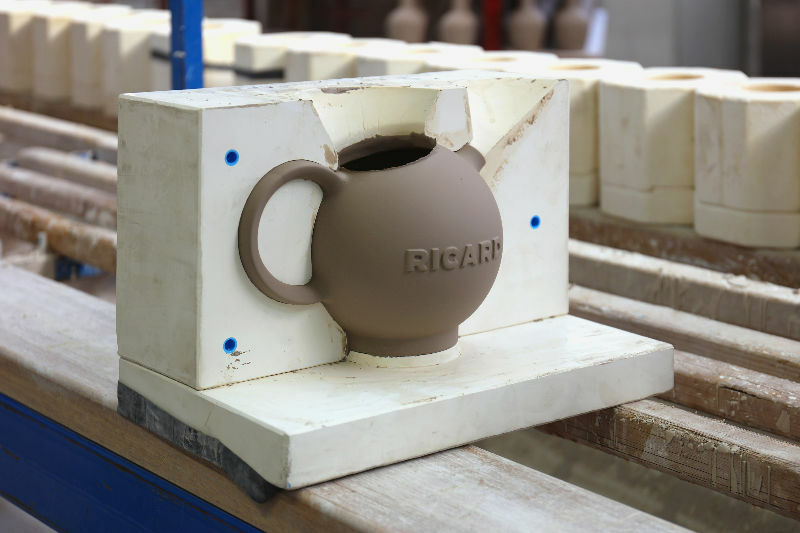 As the designer and with great humility, we wanted to perpetuate a form of heritage by designing the item to interact with its history while creating a jug in tune with the times. 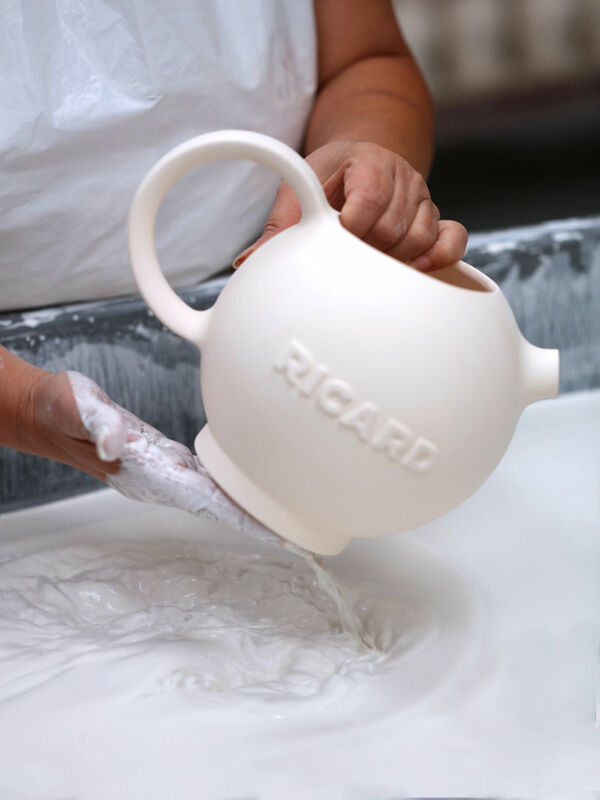 With this in mind, we recommended reconnecting with the REVOL family business, which produced the RICARD jugs for many years. 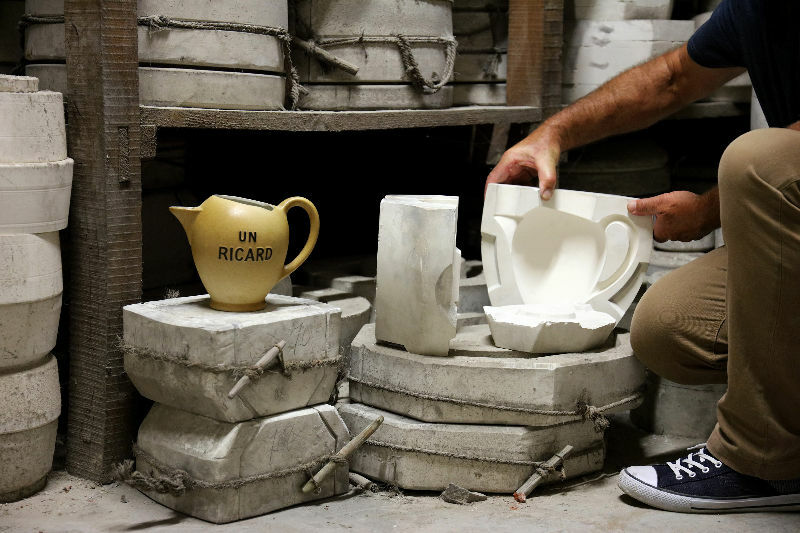 After spending many hours in the manufacturer’s archives, we were convinced that we had to revisit the historic jug. 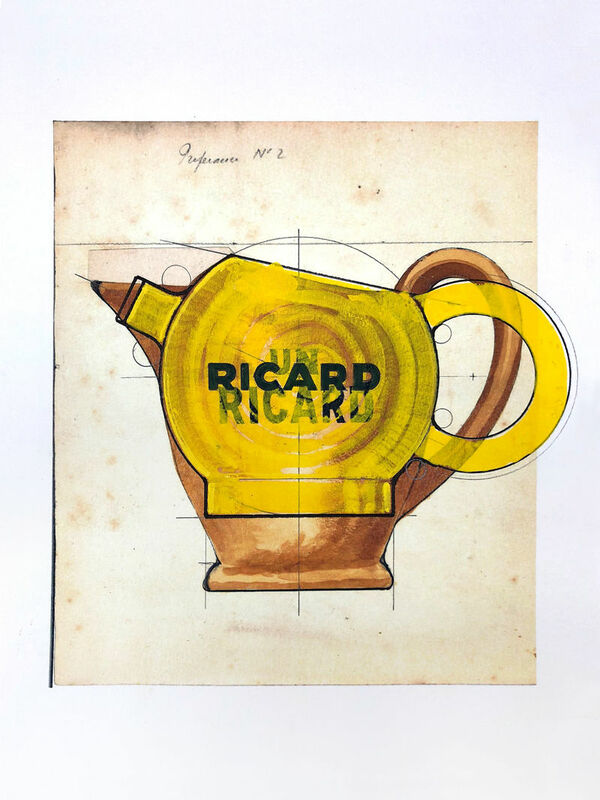 The new pitcher had to offer formal continuity, preserving the structuring lines and usage specifics of the original design by Paul Ricard. 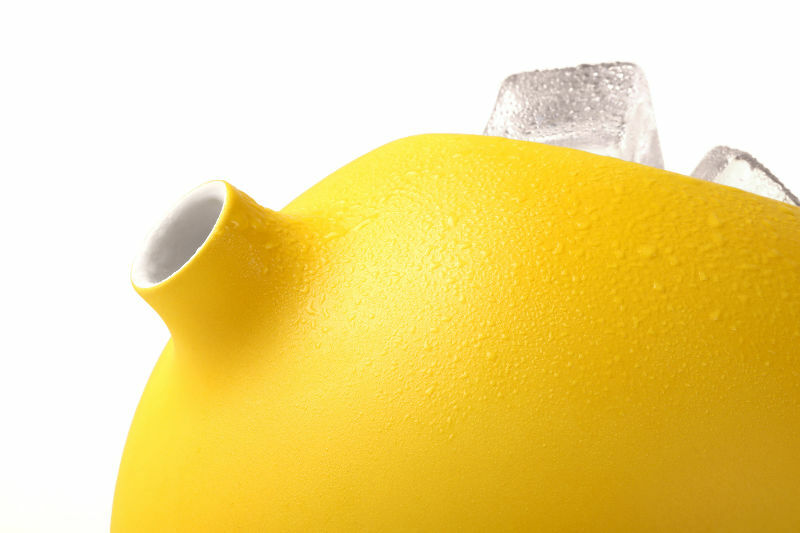 In an attempt at simplification and in search of the essence, we designed and created the new lines of this jug. 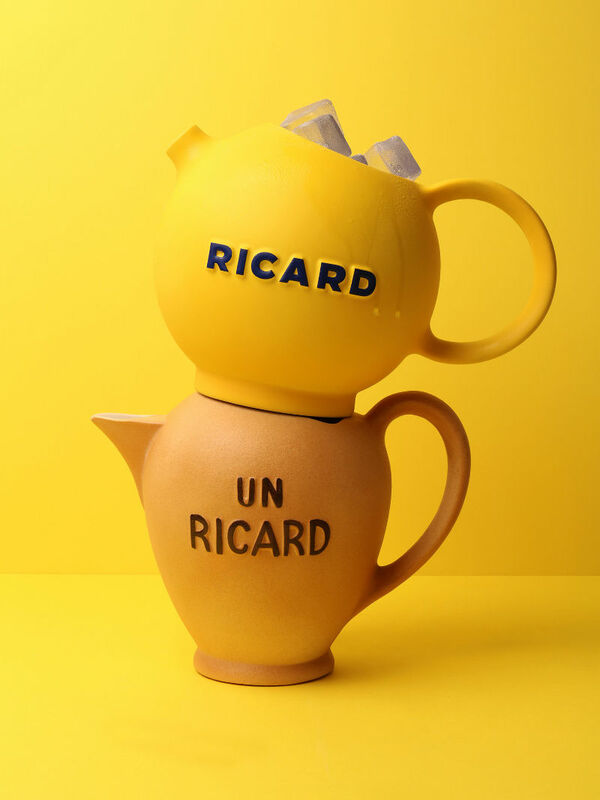 In this sense, our Ricard jug pays homage to this great entrepreneur with a passion for creation. 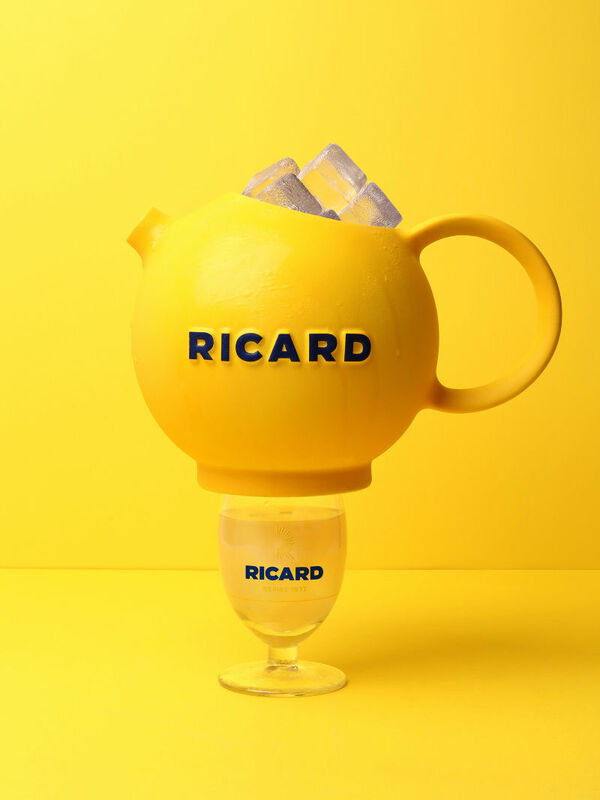 A formal synthesis that encapsulates the essence of this pitcher, which has been part of the French aperitif for decades. 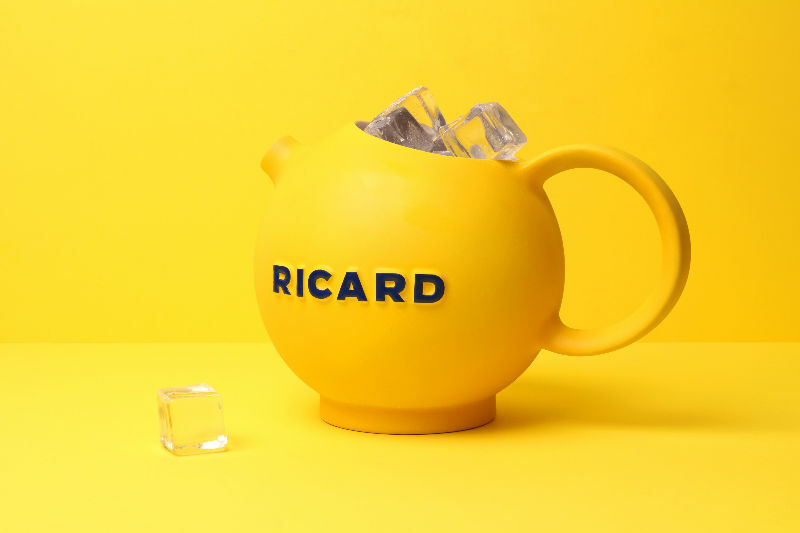 • The body is now a perfect sphere in bright yellow enamel, like a nod to the sun, the symbolic figure of the Pastis de Marseille. 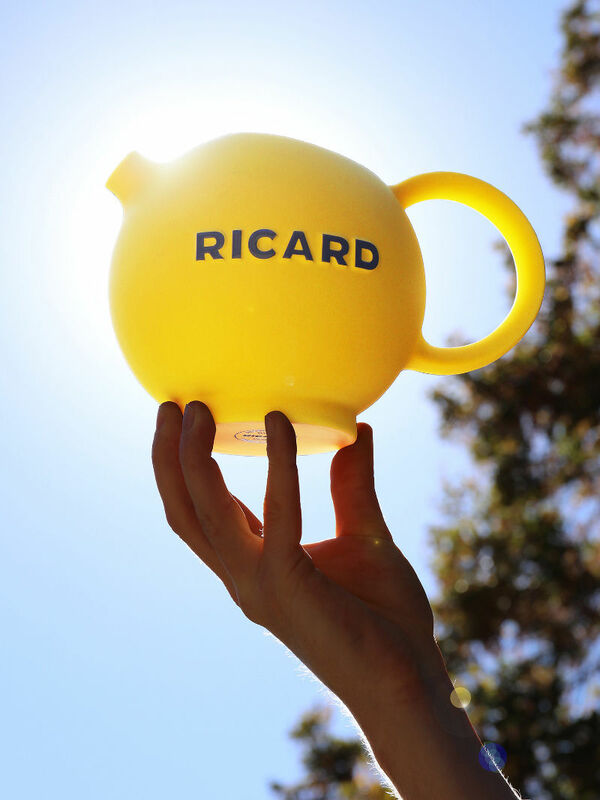 • The handle is rounder and fits into the globe like a solar eclipse, creating an imaginary line from which the spout, like a parched mouth needing a drink, bursts forth towards the sky. A tension that makes the water seem infinite when in reality it has never been more precious. 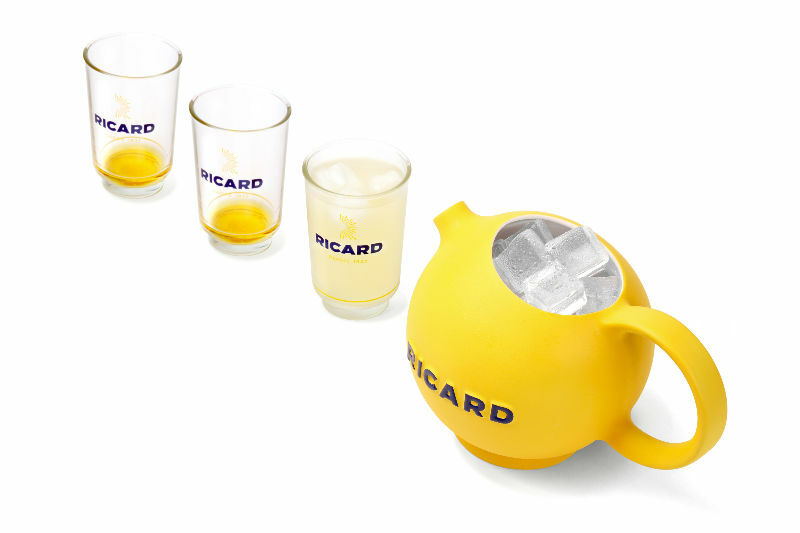 • The upper opening remains tilted to prevent the ice cubes escaping during service. 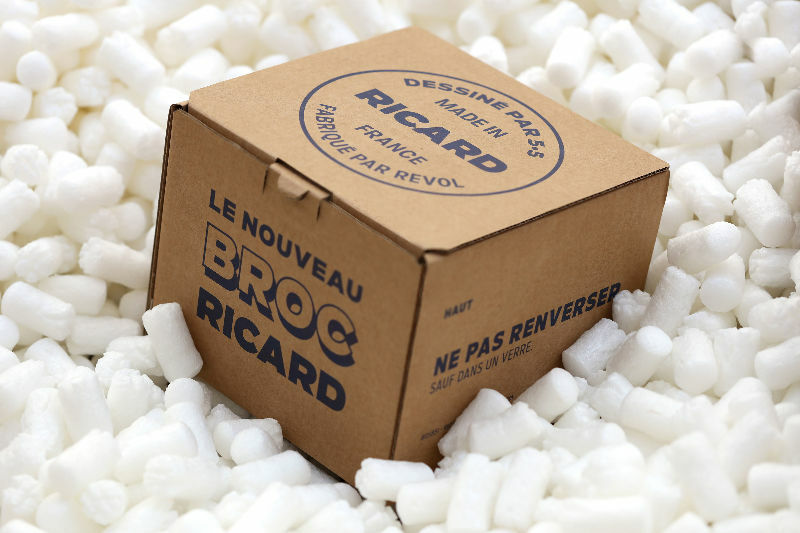 Rather clever! 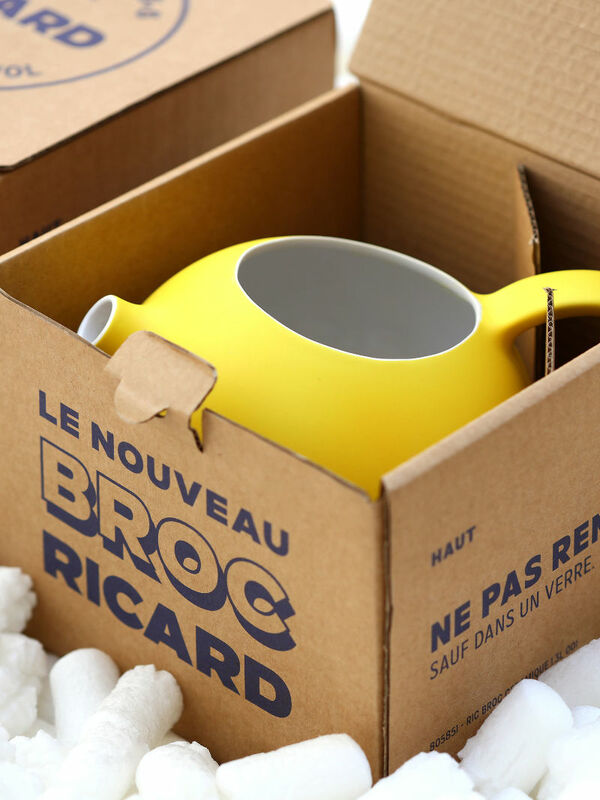 • Raised on a simple cylinder, this jug has a great pride, 100% made in France. 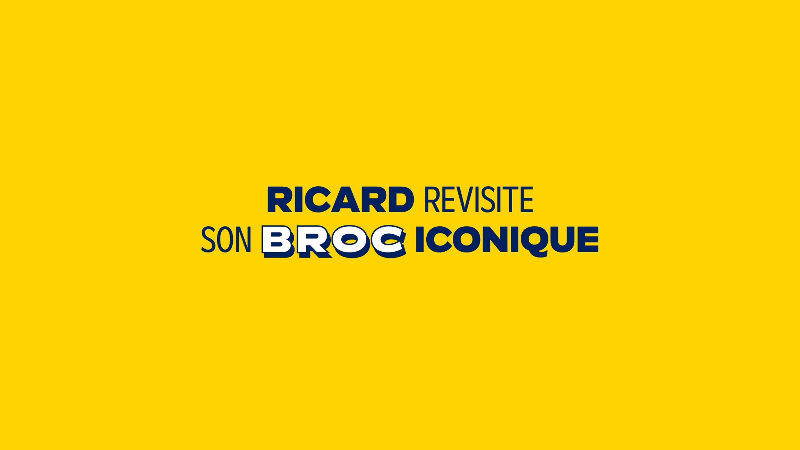 • As a nostalgic souvenir, the RICARD logo remains relief-moulded to continue the imprint in the collective memory.